Fairmount Park. On the Wissahickon. 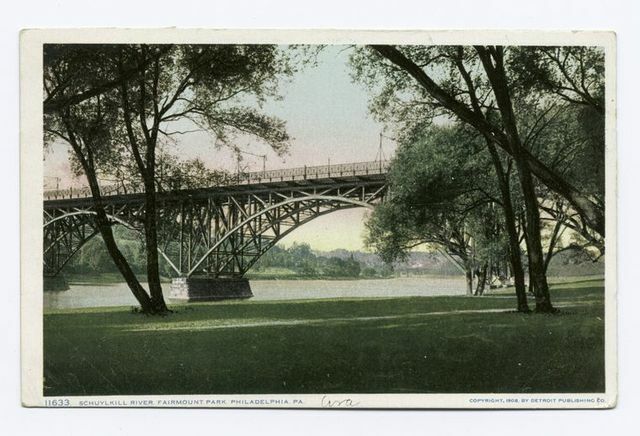 Schuylkill River, Fairmount Park, Philadelphia, Pa.
Coroner of the Fairmount Waterworks in quest of dead cattle. A beautiful garden avenue in Fairmount Park, Philadelphia, Pa.
Wissahickon Lane, above Ridge Ave.
View on the Wissahickon at Ridge Ave.
On the Wissahickon above Ridge Ave.